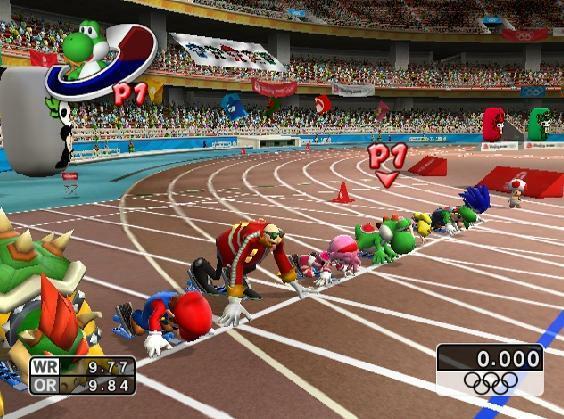 SEGA have released their latest trailer for Mario & Sonic at the London 2012 Olympic Games, showcasing more of the game in action. You’ll be able to see numerous events that are set to be included within the game, such as: Football, Horse Riding, Beach Volleyball, Badminton, Synchronised Swimming, Rowing, Hurdles, Cycling and Sprinting. SEGA also today announced that the Nintendo 3DS version will release on February 10th 2012 across Europe and February 14th 2012 in North America. The Wii version is set to release in North America on November 15th, Australia on November 17th, and Europe on November 18th.